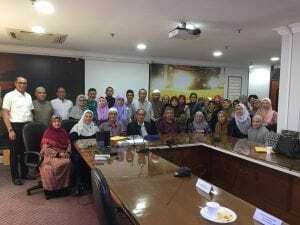 On Friday, July 6, 2018, Jamiyah Singapore welcomed visitors from Kumpulan Bekas Anak-Anak Polis Singapura (A2PS) from Malaysia, a group formed by children of former staff of the Singapore Police Force. 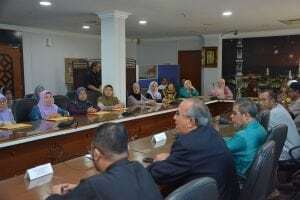 Comprising professionals including educators and lawyers, the visit is part of the group’s programmes to learn from Jamiyah’s excellent and effective management while concurrently strengthening community ties. (VP III) and Mr Rafiuddin Ismail (Sec. Gen.), briefed A2PS members about Jamiyah’s wide range of social services and innovative fundraising activities to meet the various needs of underprivileged in the community.